If you’re going to deck out your kitchen with a particular theme, deck it out right. That means down to the last detail, like the paper plate dispenser. Oh, you don’t have a paper plate dispenser? Well, you can pick up one right here. 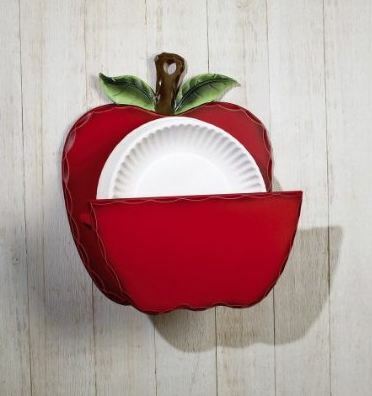 The Apple Decor Wooden Paper Plate Holder by Collections Etc . mounts directly on the wall or sits comfortably on top of the counter. And then silently mocks you when you run out of apple-themed paper plates.